The Jerry Blog! : 1 FlexTT5, Multiple Flashes? 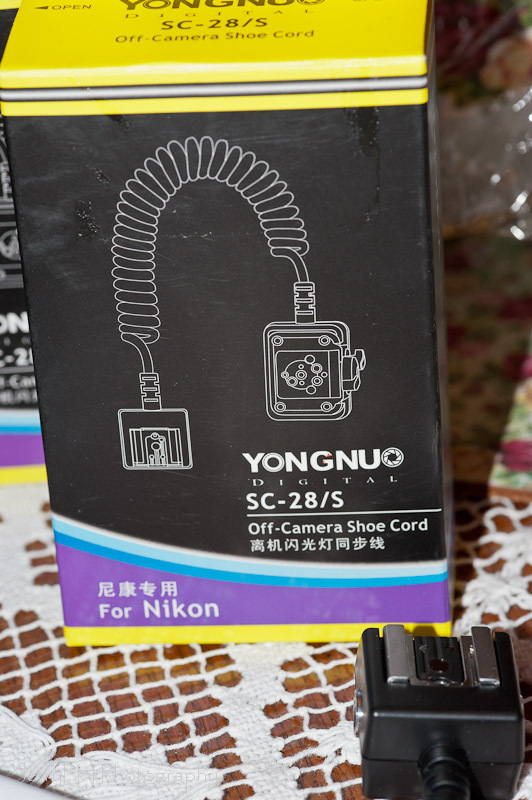 This is one of the things that I enjoy playing with and was curious to find out myself, so last month I ordered several SC-28 cables from Hong Kong. I've been using these same brand/makes/models individually on my setup for over a year without issues. 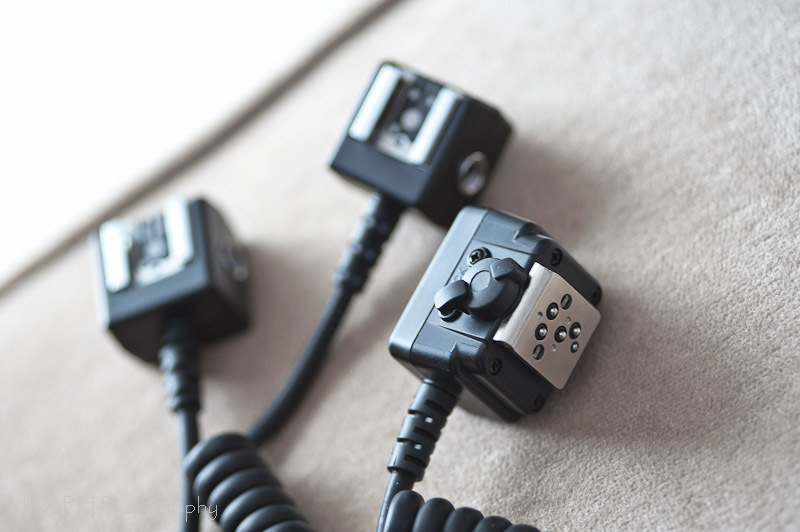 Quality is good, connectors are solid and I really do prefer to place my FlexTT5's both lower from the flash and attach them in such a manner that there is zero pressure on the plastic foot of these units. Today I took 3 of those cables and created a single "Y" splitter to see if it would work. I was extra careful to make sure all connections were cleanly soldered, shrink-wrapped and tested several times to make sure each wire matched the proper location. For guinea pigs, I used my two least costly flashes, the SB-600s, just in case anything went egregiously wrong. I started out by testing one flash at a time on each side, and this worked successfully. I was triggering the flash via an off camera MiniTT1 and AC3. Power was initially set to the lowest setting, 1/64th and I powered up and down the range to make sure that the flash responded properly. I then did the same thing on the other side of the "Y", it also worked properly. Time to test them both out. First bad sign was that the usual single preflash to indicate readiness was replaced by a series of 3 preflashes on one side, then 3 on the other side, completed by 3 more on the first side. Second bad sign was that even with the AC3 still set to the 1/64th power, both flashes pumped out full power dumps. There was no way to do anything else no matter what settings I used on the AC3. Removing the AC3 resulted in full power pops as well. Hitting the test button on the FlexTT5 that was attached to the SB-600s also resulted in a full power dump. I tried various combinations of starting and stopping the units to see if perhaps a specific combination would make it all work, but unfortunately, it never did. So, all that said, I can now tell you from personal experience that you cannot activate more than one Nikon iTTL flash per Nikon version of the FlexTT5 at a time. One FlexTT5 per flash is the rule. That does not mean that if you use the P2 connector of the FlexTT5, you cannot trigger more than one flash in full manual mode. 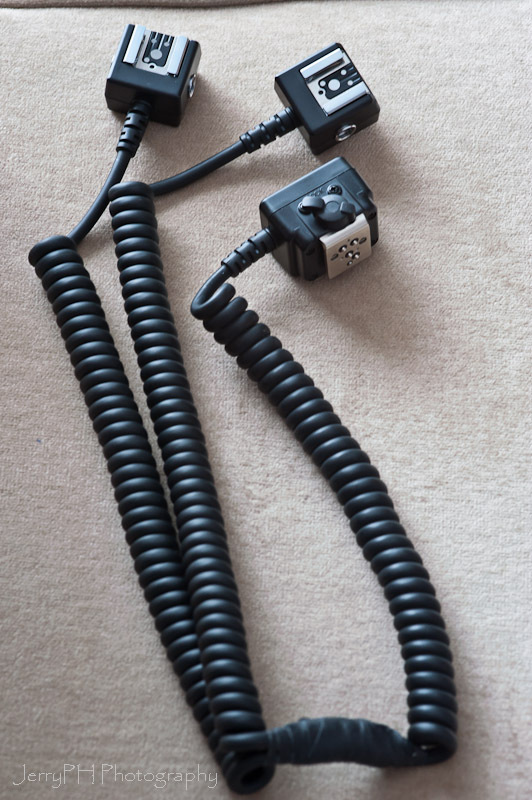 One can also use non-TTL flashes with this cable, so this cable is not totally wasted. Using the P2 port of a FlexTT5, I have done up to 2 flashes per unit successfully (a simple mono jack split into 2 mono to sync connectors does the trick), just like it works on a PW Plus II setup. It may support more, I do not know, never tried and PW did not recommend one use more than 1 splitter for the Plus II units, so I just applied that guideline to the FlexTT5. Since I also own 5 Plus II units, this is not something that I foresee ever needing. BTW, my SB-600s are none the worse for wear, and live to serve me again another day. Oh well, it was a nice way to spend a lunch break!